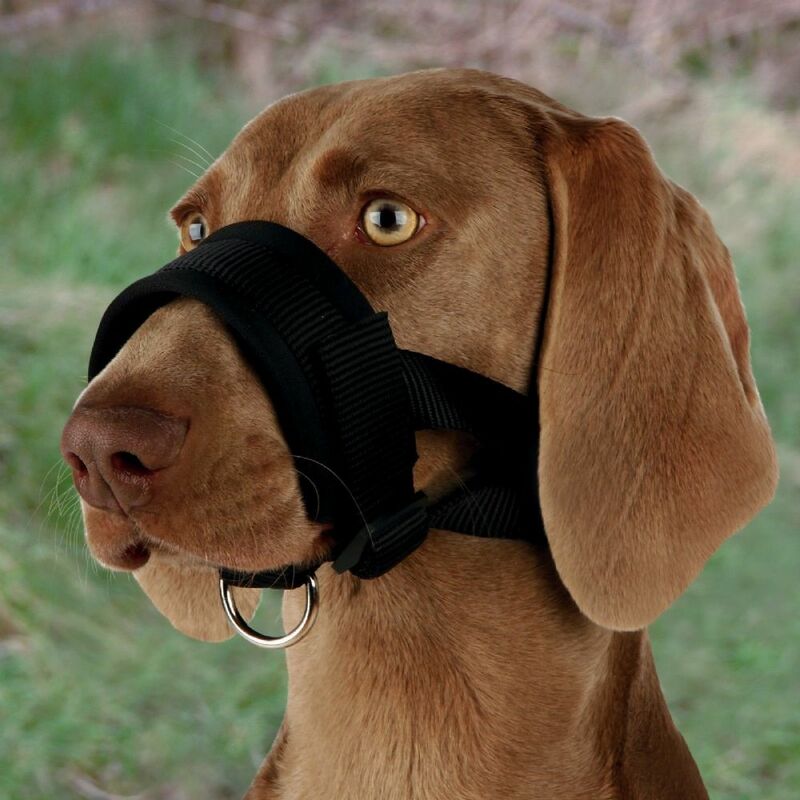 This nylon muzzle loop has an extra soft cushion lining. The strap is adjustable and has a spring catch. The muzzle loop inhibits biting but allows panting and drinking.